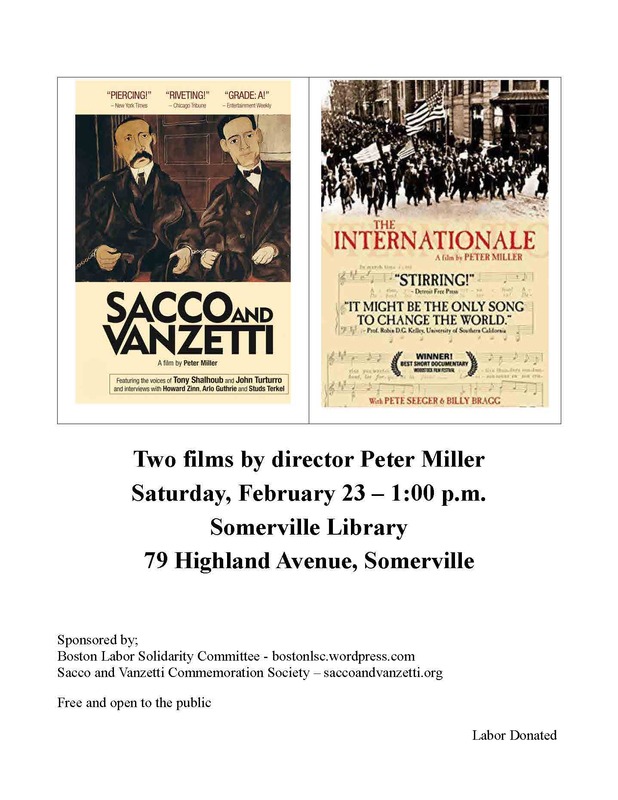 Two documentaries by Peter Miller to be shown at the Somerville Library: Sacco & Vanzetti and The Internationale. "Sacco and Vanzetti" and "The Internationale", two films by director Peter Miller. Saturday, February 23, 2019 - 1:00 PM, at the Somerville Library, 79 Highland Avenue, Somerville. This event is sponsored by the Boston Labor Solidarity Committee and the Sacco and Vanzetti Commemoration Society.